We’re pleased to introduce Erin Fortune to our customer service team. 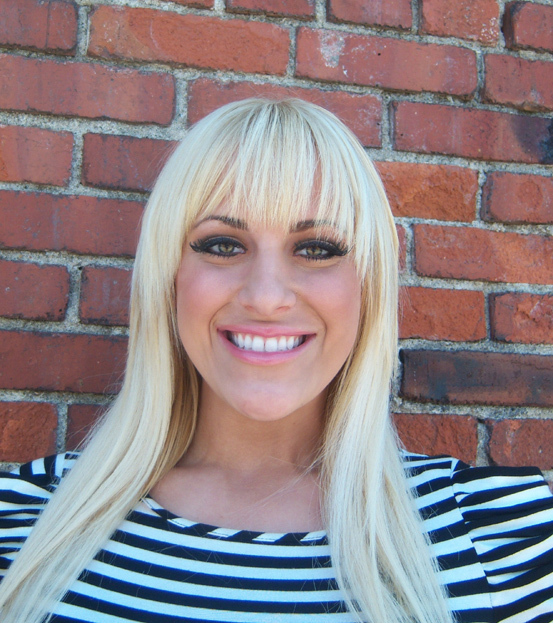 Erin comes to us with six years experience in salon management and customer service. She’s also a freelance makeup artist, and has had her work published in the Wichita Eagle, Naked City and Splurge. Erin has worked on ads for local stores like Section 37 and Johnson’s and has done stage work in Las Vegas. Erin loves to make women feel beautiful and creates looks ranging from simple to dramatic. She especially loves glamorous up makeup, complete with big, beautiful lashes. Want to see what she’d do with your makeup? Erin is available for makeup lessons by appointment, and will start offering our clients complimentary makeup touchups on Saturdays. Sometimes finding the perfect ‘do is harder than finding the perfect man. Brides come to us with an idea of what they want, but rarely think about what the rest of their bridal party will look like. We offer complimentary consultations and will work with you to create the perfect look for your perfect day and perfect man. I do! Perk up! Come in for a color service during May and receive a free hand and arm massage or makeup touch up. Give the gift of glam and receive a complimentary $10 gift card when you purchase a gift card of $50 or more.